Before dismissing the 3.6-liter based on fuel economy, consider your needs. If your driving style isn't "patient" or "slow," the gap between the two engines isn't all that significant. The 2017 Subaru Outback is a worthy competitor to many SUVs on capability alone—factor in price and it should be a no-brainer. Forget Paul Hogan and saccharine commercials about love. Given the finite and dwindling capacity of our medial temporal lobes as we age, what's worth remembering on the 2017 Subaru Outback is as simple as "8.7" and we can go back to whistling candy bar jingles from our childhood. Subaru's Outback has 8.7 inches of ground clearance, which is the same as many rugged SUVs that trade on their tall exteriors and self-affirming badges with "Trail Rated" written on them. The Outback hasn't fundamentally changed since it was new in the 1990s and while others have had to ditch ladder frames and thirsty V-8s to stay relevant, the Outback has remained firmly car-based and wagon-esque. What's left for shoppers now is an enduring over-achiever. 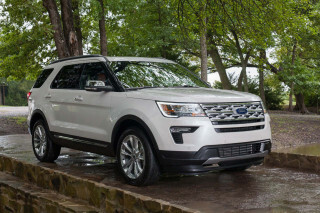 Although it's a mid-size vehicle, seating and cargo areas are copious, and its all-wheel drive system—complemented by an "X-Mode" off-road program—is hugely capable. 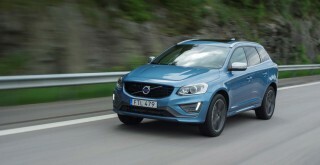 And it's a wagon in a world obsessed with crossovers. What's not to love about that? In other respects, we yearn for shorter memories. 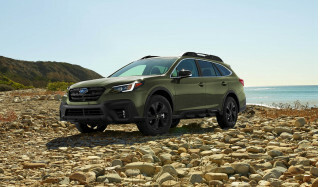 Subaru's insistence on horizontally opposed engine design has left the wagon (at times) on the back foot for fuel mileage, and the Outback's budget-first mission can leave the interior short compared to others. Subaru's celebrating the 50th anniversary of its horizontally opposed engine this year and the 2017 Subaru Outback sports the company's oldest examples on sale today. The 2.5-liter flat-4 base engine produces 175 horsepower in the Outback. It's perfectly adequate for daily use, and is the most frugal. EPA estimates peg highway mileage above 30 mpg and a combined average in the high-20s. The 3.6-liter flat-6 is the more expensive, optional engine in higher trims—including 2017's newest Touring line—and it makes 256 hp. It's a smoother customer and isn't out of breath making mountain passes, but its fuel economy is in the low-20s combined, and that isn't what we'd expect considering its weight and two rows of seating. Both engines are mated to a supremely good continuously variable transmission (CVT) that we'll say is one of the best in the business—if not tops. We'd like the flat-4 to be a little more potent and the flat-6 to be a little less thirsty. The Goldilocks principle means our answer should be somewhere in the middle, but for most buyers we'd say the 2.5-liter is just fine—just keep it on the boil with the available paddle shifters if you need to pass. The Subaru Outback is one of the safest cars on the road today and the data is there to back that claim. The IIHS named it a Top Safety Pick+ and the feds give the Outback top five-star scores. Subaru's optional EyeSight safety system bundles together adaptive cruise control, forward collision warning with automatic emergency braking, and lane departure warning for an affordable price. Blind-spot monitors and rear cross-traffic alerts are available too. For 2017, Subaru has added rear automatic braking to avoid hitting objects behind the car. The Outback is considerably more refined than previous generations and its noisy interior has been quieted to a gentle growl. It can rightfully compete with other, much more expensive wagons on comfort and quality—something older Outbacks just couldn't do. Yet, top-of-the-line trims like the Touring and even Limited models are still fancied up versions of a base wagon built for the trail and it shows. There are some large swaths of black dashboard, hard materials, and plasticky buttons, but the most you can pay for an Outback is still thousands less than the starting price of some competitors. The 2017 Subaru Outback is handsome—in a weird, wagon-y way. Subaru has owned the wagon segment that it helped create with the Outback. Despite swimming upmarket for more luxury appeal, the Outback is still in familiar waters in mud, snow, sand, dirt, rocks, boulders, mountains, small streams, and so on. The Outback doesn't share any sheet metal with the Legacy from which it's based. Two years after a thorough redesign, the Outback hasn't changed much. It's still instantly recognizable as an Outback, and we adore its weird wagon outlier status in a world fascinated by anything that resembles a crossover. The comprehensive changes for 2015 made the design both a little more assertive and a little more space-and-functionality focused. The Outback carries a look that's more rakish and swept back, yet simultaneously more blunt and SUV-like. To go with that, the grille is more upright and the hood curvature is different. Within the grille there are active shutters that help improve fuel efficiency, while the front windshield pillars were made a bit steeper, with a little more arch given to the roof. With the mirrors drawn back from the A-pillars, and some lower-body cladding, the look becomes more rakish yet more forceful. Inside, the Outback is functional and slightly stylish with a strong, upright center stack flanked by acres of dash. There's something to be done with vast, black expanse on the upper portion of the dash facing the front, but at least its visually separated with the glove box by tasteful wood trim (in higher models). For 2017, Subaru added a Touring trim with Java Brown leather upholstery with contrasting ivory stitching. Brilliant Brown has been added to the exterior palette for Touring models, which can complete the "brown on brown on brown" trifecta when dragged through the mud. The Outback has off-road chops and a smooth ride, but we'd like a powertrain option that's in the middle of our available choices. We haven't yet driven the 2017 Subaru Outback, but we're not expecting any dramatic departure from last year's model. 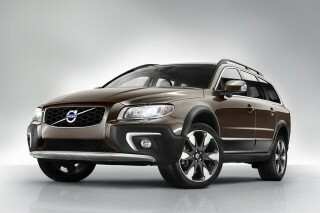 The new Outback will still be offered with two engines, both paired to all-wheel drive (AWD). The smaller, base engine is a 2.5-liter flat-4 that makes 175 horsepower and 174 pound-feet of torque. Subaru celebrated this year its 50th anniversary of its horizontally opposed engine design that lays the engine cylinders flat, not in an angled (in a "vee" layout) nor vertical (in an "inline") orientation. The benefit of a flat orientation has been a compact engine design, lower in the car's engine bay, which can help lower the center of gravity and improve handling. The drawback has been relatively inefficient fuel consumption compared to inline-4 or even V-6 engines because of the boxer's design and complexity. The bigger, optional engine is a 3.6-liter flat-6 that makes 256 hp and 247 lb-ft of torque. According to Subaru, most of that pull from the torque happens between 2,000 rpm and 6,000 rpm, however we've found it doesn't shift our stomachs quite like the smaller turbocharged engine found in the Forester. In previous generations, Subaru has offered a turbocharged Outback (dubbed XT) but that's not available this year. Both engines are mated to a continuously variable transmission (CVT) that'll fool many drivers into believing it's a conventional, 6-speed automatic. It isn't. Rather, it's programmed with simulated "steps" that cycle through ratios like a normal transmission when pressed into duty. Settle down your right foot and you'll get the typical CVT behavior. Paddle shifters on Premium trims and higher can help the 2.5-liter flat-4 up mountain passes, but there's a fuel economy penalty in doing that. We're not shy with our praise: Subaru's CVT is one of the best in the business and we like it. No qualifiers needed. Outbacks with the 2.5-liter flat-4 can tow up to 2,700 pounds, and the 3.6-liter flat-6 can tow up to 3,000 pounds, provided the tongue weight doesn't exceed 200 pounds on both models. It's not hard to catch either Outback flat-footed. Especially when equipped with the 2.5-liter flat-4, the Outback can feel burdened by its 3,500-pound heft and out of breath. Not many automakers are willing to ask so few cylinders to move so much mass as Subaru asks its 2.5-liter to handle. Put simply, 175 hp isn't enough sometimes. We stop short in recommending outright the bigger engine because we can only recommend it for so few scenarios. Steep mountain passing: good. Off-the-line acceleration: good. Bigger number on paper: good. Relative fuel economy: Not so good. 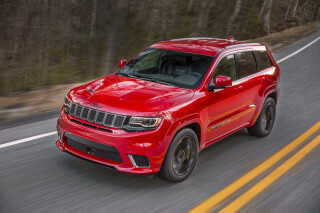 The 3.6-liter flat-6's 22 mpg combined rating is right in line with comparable V-6s found in the Nissan Pathfinder (22 mpg combined) and Toyota Highlander (22 mpg), but both of those cars weigh several hundred pounds more and offer three rows of seating. That said, the flat-6's real world fuel economy may be closer to the smaller engine's economy, if only because it doesn't need to be constantly wrung out for power. Trail prowess and all-weather ability have always been the flip side of the Outback’s performance appeal. It should get a step better in the new Outback after it inherited an enhanced all-wheel-drive system and new off-road mode from the Subaru Forester. Active torque vectoring should allow better control of individual wheels in some low-traction surfaces, and some wheelspin to help power through low-traction situations like snow or mud. X-Mode sounds like it could be a marketing gimmick, but what it amounts to on the trail is a wonderful, single-mode set-it-and-forget-it toolkit for lower-speed driving far after the pavement ends. In short, it makes the accelerator pedal less touchy, changes the shift pattern for the transmission, and makes the all-wheel-drive system much more proactive and eager to send power to the rear wheels. Further, the electronic stability system is more aggressive in its efforts to quell individual wheelspin and send engine torque where it can be used. X-Mode includes hill-descent control and hill-start assist for less-than-ideal traction. The Outback maintains 8.7 inches of ground clearance—more than some taller crossovers with more rugged profiles. The Outback was given a somewhat quicker steering ratio last year. For 2016 that was retuned, and the Outback gets some additional tweaks—especially to top Limited models, which get a more refined ride from softer dampers. Compared to the 4-cylinder models, 6-cylinder models of the Outback have a slightly heavier steering feel—simply a matter of more weight over the front wheels, as the steering gear and boost curve is the same. Subaru continues to refine the Outback with better available materials and a quieter cabin. The 2017 Subaru Outback is proof of the car's ascension from a modest, rugged traveling wagon to a near-luxury contender. In top trims, the Outback is a crisp denim shirt with a sportcoat, fit for business-casual detail and unembarrassed in a line for the valet. Even base models are fairly quiet, with help from thicker panels for the floor, lower firewall area, rear-wheel apron, and inner fenders, while more foam insulation and floor damping has been used. There's also a new acoustic windshield, and the engines now get liquid-filled engine mounts. We haven't yet driven a 2017 Outback, but we don't expect many differences beyond the model we drove just a few months ago. By the numbers, the 2017 Outback is roughly the same size as older models, but its interior is about 2 inches wider than older models. That may not do much for adult fifth passengers riding "hump" in the back seat, but for front-row passengers, its valuable elbow room and a little more room for thighs. Rear seat leg room in the Outback is in the middle compared to some of its competitors. The Outback's 38.1 inches of rear seat leg room is less than a Jeep Cherokee's (40.3 inches) but more than a Ford Escape (37.1 inches). The Outback's versatility comes through in its basic shape: the wagon provides a lower cargo liftover height (27.9 inches) than the Escape (29.6 inches) and the Cherokee (30.9 inches), and the Outback's 35.5 cubic feet of cargo space bests of those both crossovers too. The Outback's fit and finish are much better than in older generations, but the wagon's budget roots are clear. 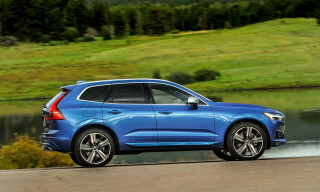 Pricier versions of the Outback are cross-shopped against the Audi Allroad and Volvo XC70, both of which sport better interior materials and quality. That shouldn't be a surprise, those cars' entry prices are at least $10,000 more than a base Outback. The Subaru can't compete on switchgear, seat comfort, and premium hides, but that's only a problem in Limited models and higher—and in buyers' expectations. The Subaru Outback is one of our top picks for safety, and data shows its one of the safest cars on the road. The 2017 Subaru Outback has received very good scores from both major U.S. safety rating organizations. The Outback received top "Good" ratings from the IIHS this year and, when coupled with optional active safety equipment, earned the institute's highest Top Safety Pick+ nod. Federal officials gave the 2017 Subaru Outback top five-star scores in every test except the rollover test, where it received a four-star rating. Subaru made some structural improvements help it achieve those top-tier safety ratings. All models in the lineup include a rearview camera system, and in addition to the usual array of airbags there are new front seat-cushion bags aimed at holding occupants in place during a frontal crash; a rollover sensor also affects side airbag deployment. 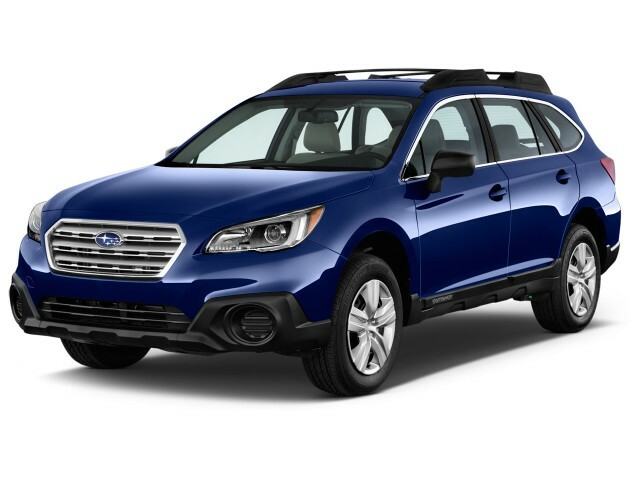 In addition to stellar data, Subaru offers one of the industry's top active safety systems in many Outbacks for a reasonable price. EyeSight adds adaptive cruise control, forward collision warning with automatic emergency braking under 30 mph, and lane departure warning. EyeSight systems can be equipped with blind-spot monitors, active lane control, and rear cross-traffic alert, and automatic high beams. Last year, Subaru introduced its Starlink Safety Plus telematics system that includes emergency services notification in a crash, roadside assistance, vehicle service notifications, and automatic collision notification. New for 2017, Subaru has added rear object detection with automatic emergency braking to the Outback. Outward visibility in the Outback is generally good, with its wagon proportions and windows affording more sight lines than many slab-sided crossovers and SUVs. The Outback is still a tall wagon with a rising window line so parallel parking and backing up can be a challenge for some. Subaru may be the only automaker to help evaluate pet safety devices, and considering that some of our editors live in Subaru's sales wheelhouses—the Pacific Northwest, the Mountain West, and the Northeast—we're on board with that. Just like many Americans, Subaru owners travel with pets and the automaker's willingness to test those devices is encouraging. For 2017, Subaru has added a range-topping trim for 3.6-liter models and even more safety equipment. The 2017 Subaru Outback is conveniently offered with two engine choices and four trim levels between them. Base 2.5i models start with a standard complement of equipment and progressively add more features in Premium and Limited trims. The larger 3.6-liter flat-6 engine comes in Limited trim first, and new for 2017, a Touring grade that tops the range. Base Outback 2.5i models include air conditioning; power windows, locks, and mirrors; cruise control; rearview camera; keyless entry; roof rails; a 6.2-inch touchscreen with Starlink infotainment including iHeartRadio, Stitcher, Pandora, and Aha radio; Bluetooth connectivity; cloth upholstery; and automatic headlights. The Premium model steps up to 17-inch wheels, 10-way power driver's seat, dual-zone air conditioning, leather-wrapped steering wheel and shift knob, and 7.0-inch touchscreen. We suspect buyers looking at the Premium trim may be swayed more by what's available at this level—rather than what comes standard. Subaru offers navigation, a power tailgate, a moonroof and its excellent EyeSight safety system as optional on Premium trims. EyeSight's safety suite includes adaptive cruise control, lane-departure warnings, and lane-keeping assist. Rear cross-traffic alert and blind-spot monitors can be added as well. For 2017, Subaru has also added reverse auto braking that can stop the car if it detects an object behind it. Limited trims add perforated leather seating, 18-inch wheels, power and heated front seats, blind-spot monitors and lane-departure warnings, power rear tailgate, and Harman Kardon premium audio with 12 speakers. 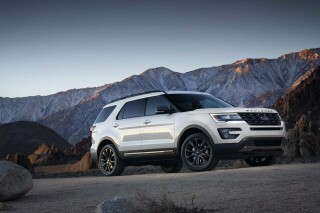 A moonroof, keyless ignition, EyeSight and 7.0-inch touchscreen with navigation is optional on Limited models. The 3.6 Limited model adds Subaru's bigger 3.6-liter flat-6 under the hood, but otherwise stays the same as 2.5i Limited models. New for 2017, Subaru added a range-topping Touring trim to 6-cylinder models that adds brown leather, fake wood-grain dash accents, low-profile roof racks and 7.0-inch touchscreen as standard. While the new roof rack looks good, it doesn't include cross rails on the roof rack. Last year, Subaru added a menu of safety telematics that we cover separately, but help bring the automaker up to par with modern technology. For 2015, Subaru rehabilitated its aging infotainment system with its current Starlink system that was a major upgrade for the automaker. We've had plenty of seat time with Subaru's system, and we're satisfied with how well it works. The menu system is straightforward and clear, and pairing Bluetooth devices is a snap. If we have any issues with the system its that all Starlinks aren't created equal—the smaller 6.2-inch touchscreen wasn't as responsive for us in other models, whereas the large 7.0-inch screen was—and that its high-gloss screen could be a magnet for scratches. It's a good system, but we hesitate putting it in the top tier. Outback models with the optional EyeSight active-safety package include a 5.0-inch center gauge display, while other models have a simpler 3.5-inch screen. All models have enhanced fuel-economy and trip-information displays. The Subaru Outback is thrifty by SUV standards, but average when compared to mid-sizers—when you pick the smaller engine. For 2017, Subaru will carry over its 2.5-liter flat-4 and 3.6-liter flat-6 engines from last year. 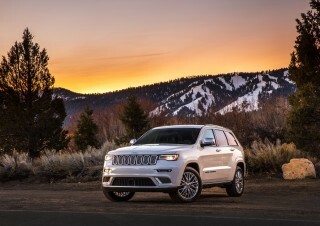 That means that shoppers can choose between a fairly spacious, all-wheel-drive (AWD) crossover that manages more than 30 mpg highway, or a sure-footed hauler and hill climber that returns over 20 mpg combined. When equipped with the larger 3.6-liter 6-cylinder, the 2017 Subaru Outback returns 20 mpg city, 27 highway, 22 combined, according to the EPA. In our real-world testing in previous models we've found that to be fairly accurate and easy to replicate. In mountain states (where Subaru is especially popular) the 2.5-liter 4-cylinder needed to be kept on the boil to pull off mountain passes. Subaru's continuously variable transmission does its best to keep the revs lower in the range, so we constantly used our 2.5i Limited's paddle shifters to push the Outback up Interstate 70 toward mountain towns. Predictably, that kind of driving will push fuel economy lower, so for high-altitude buyers the mileage penalty may be worth the passing power of the flat-6. 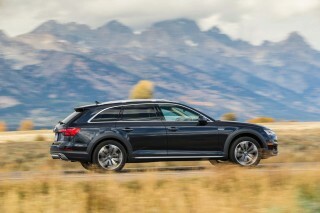 By comparison, the Audi Allroad's 2-liter turbo-4 is rated at 21/28/24 mpg, but requires premium fuel. Toyota's RAV4 is rated at 22/29/25 mpg when equipped with all-wheel drive. Only offer cream or black interiors. I opted for cream because black in the summer is too hot. I am now constantly cleaning the doors because they show any grime. I previously had a Forester with Grey and... Only offer cream or black interiors. I opted for cream because black in the summer is too hot. I am now constantly cleaning the doors because they show any grime. I previously had a Forester with Grey and loved it, wish that had been offered. The display screen is glossy and when the sun hits it from behind its quite blinding. I use the mapping a lot so I closing isn't an option for me. It should be made anti-glare. Subaru should market a matte overlay for the screen. Super fuel efficient, goes anywhere, safe, nice features on the limited edition. Can't beat the reliability. Great gas mileage, lots of room. More options than cars twice the price. 2017 Subaru outback limited. Need some answers, Thank you. It's a homerun AND a touchdown! Great value for the dollar. Beautiful, quality interior. The only "extra" optional need is the hitch. The styling and proportions are spot on. The interior feels very comfortable and luxurious. Visibility is the best for this class of vehicle. You can't go wrong if you're looking for a long distance family... The styling and proportions are spot on. The interior feels very comfortable and luxurious. Visibility is the best for this class of vehicle. You can't go wrong if you're looking for a long distance family hauler. We are enjoying our new Outback, would recommend it to others. Happy with car so far. Mileage isn't so good but like the safety features and the car in general. Believe it was the best SUV type vehicle for the price. Very quite inside. Excellent visibility and strong acceleration for normal driving. So far we love the Outback. Very nicely finished inside and acceleration is much better than expected. Great ride, excellent visibility and Eyesight is wonderful feature.